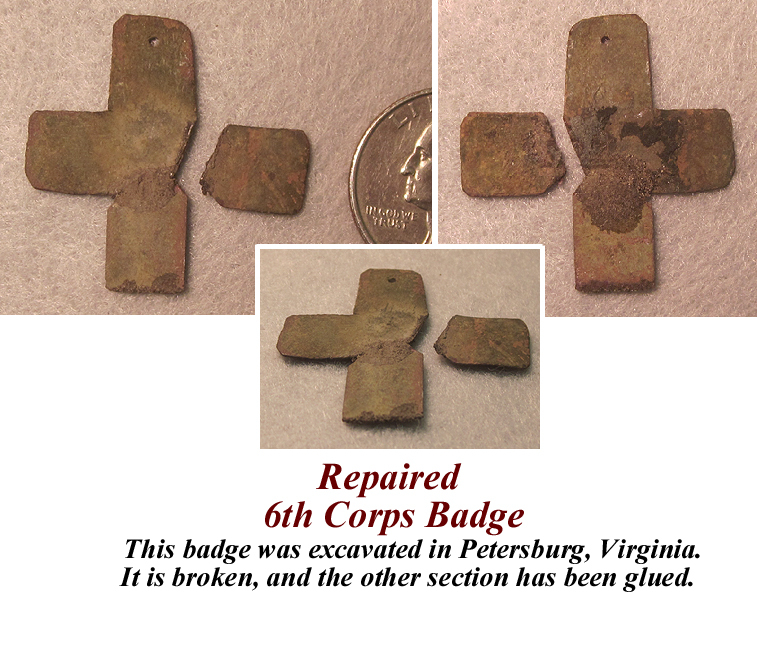 This badge was excavated in Petersburg, Virginia. 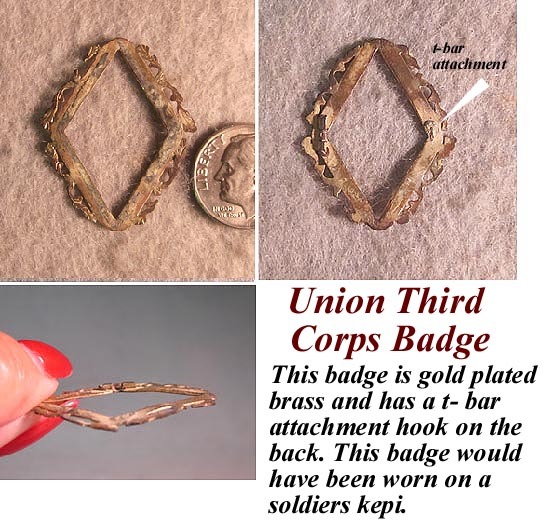 It appears to be repaired on the front. 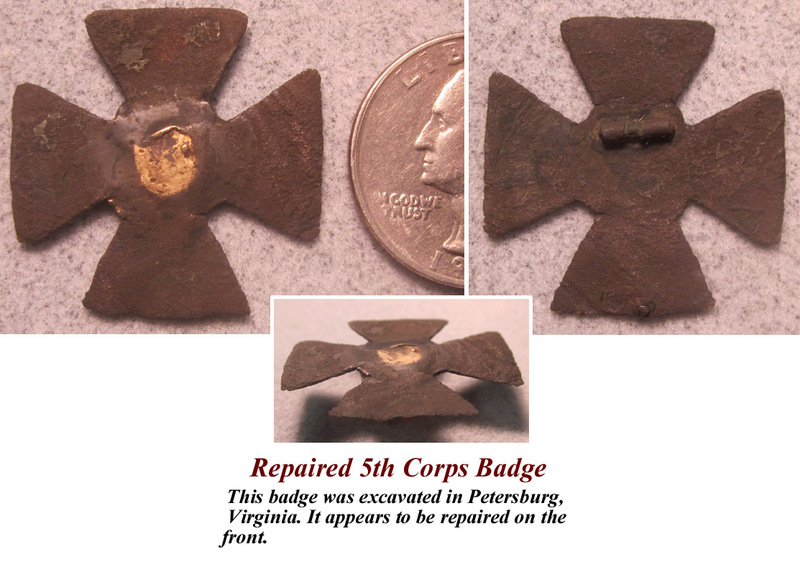 This badge was excavated in Petersburg, Virginia. It is broken, and the other section has been glued. 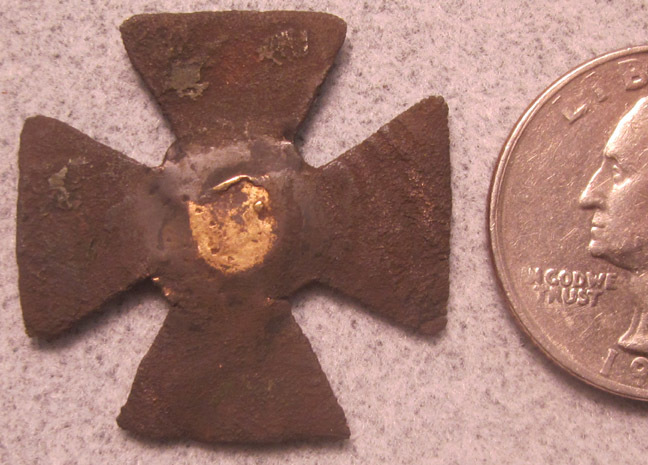 gilt has worn away, it is a period artifact.